Learn exceptional Venetian recipes, discover seasonal products from the Venetian lagoon and savour the culinary creations of Executive Chef Daniele Turco. An indigenous culinary experience awaits in Venice, featuring demonstration classes and visits to the markets, themed courses and indulgent ingredients. 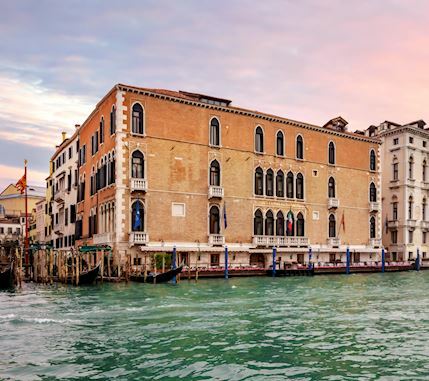 Since 1949 gastronomy has played an important role in the history of The Gritti Palace. Its culinary school, a legacy since 1975, is no exception. 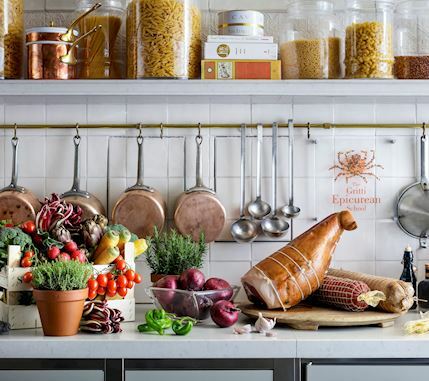 Now a refined version of its iconic self, The Gritti Epicurean School is a warm, country-style kitchen where guests may immerse themselves in Venetian culinary traditions and learn the secrets to preparing perfect risottos, pasta dishes and delectable desserts. 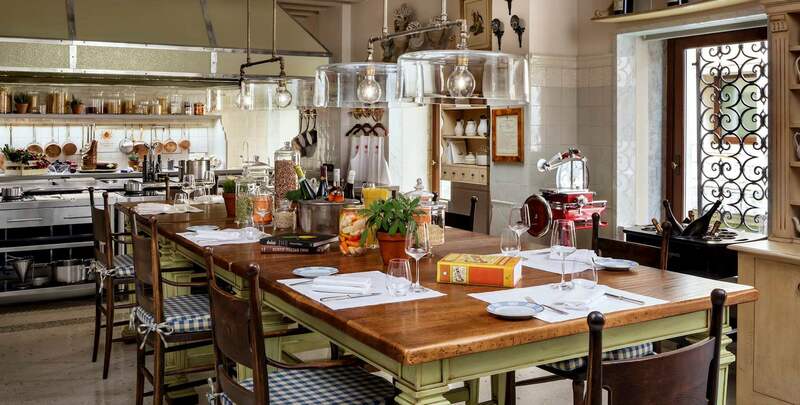 The kitchen's intimate atmosphere also lends itself perfectly for Chef's Table-style dinners, wine or food tastings, and informal private dinners. Water taxis to our private pier are available from Marco Polo Airport, Piazzale Roma, Santa Lucia Railway Station and the maritime port. Taxi fares are payable in cash to the water taxi drivers and may not be charged to guest hotel bills. No advance reservation is accepted. 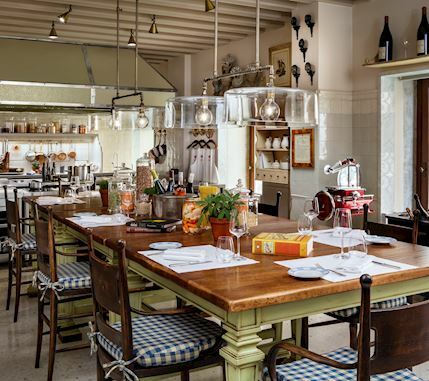 The Gritti Epicurean School is also easily accessible by public transportation from the main arrival points to Venice. The ACTV vaporetto line no. 1 may be taken from Piazzale Roma or the Venice Santa Lucia Railway Station to the S. Maria del Giglio vaporetto stop. Club del Doge Restaurant is a two minute walk away. To reach the hotel, follow Calle del Traghetto in front of the boat stop to the end and turn right into Campo S. Maria del Giglio. 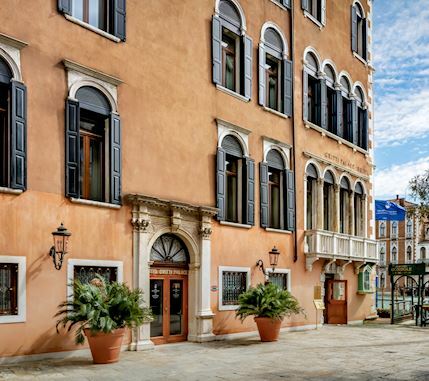 The street entrance to The Gritti Palace is on the left-hand side of the Campo, near its Grand Canal end.